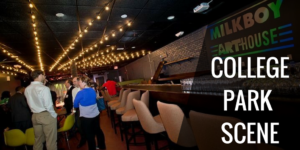 Learn about the opportunities to couple this initiative with other assistance programs like the Maryland Mortgage Program and the City’s New Neighbor Grant Program, and opportunities for new homebuyers to get to know local amenities like the world renowned College Park Tennis Club, and OpenBarre Studios. The Maryland Mortgage Program. Provides a $5,000 zero interest loan, which is only repaid upon sale or transfer of the property or if the first mortgage is refinanced or paid in full. This loan does not accrue interest over time. Additionally, borrowers can get a Maryland HomeCredit – a tax credit up to $2,000 – on federal taxes every year for the life of a mortgage. The Maryland Mortgage program applies only to first-time homebuyers or those who have not owned a house in 3 years. This program assists qualified buyers who meet the income limitations – see website at http://mmp.maryland.gov/Lenders/Pages/Income-and-Purchase-Limits.aspx. 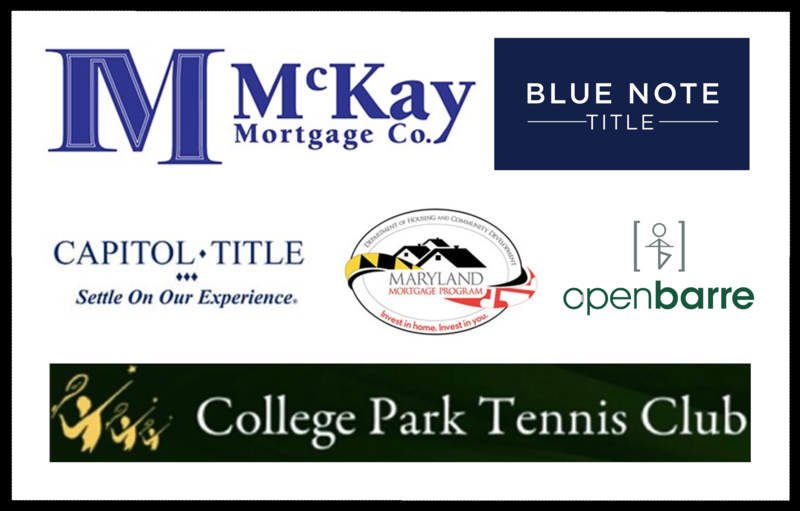 CPCUP/Maryland Mortgage Program partnership. The Partnership has partnered with MMP to provide additional down payment assistance, up to $2,500, as part of the MMP community partner match. The City of College Park New Neighbor Home Ownership Grant Program. Offers a $5,000 incentive for purchase of houses that have been previously rented, foreclosed or short sale status. The $5,000 incentive is also provided for purchase of ANY house in College Park by City of College Park employees, Police, firefighters and EMT’s who are employed in the State of Maryland or Prince George’s County. If a home buyer is eligible for the City’s program, the Partnership would couple the City’s loan with the Partnership’s loan so home buyers do not need to apply twice. Learn more. And learn more about the homes that would qualify for this opportunity HERE. College Park Tennis Club. The College Park Tennis Club offers anyone who uses the City-University Partnership’s Homeownership Program a six-month free tennis club membership. This includes a beginner training program (Rally in 10) for folks who have never played tennis and want to try it. This package is valued at $600. OpenBarre Studios. OpenBarre Studios offers home buyers one month of unlimited classes per adult on the title. The month should be started within 90 days of the sale date. Try a variety of classes including but not limited to $5 Happy Hour Barre, Arms & Abs, Barre Stretch, Date Night Barre, Mom Strength, Barre Cardio Circuit, and many more! This membership is valued at $99. Blue Note Title. Blue Note Title, Inc. offers participants in the Homeownership Program a $500.00 discount on settlement and title services (with the purchase of Owner’s Title Insurance). Military, teacher, and other discounts may also apply. Spanish-speaking settlements are available. Please contact Jessica Chipoco, Esq. at 240-670-8993 or jessica@bluenotetitle.com for more information. Capitol Title. Capitol Title is offering participants in the Homeownership Program a $500.00 closing cost credit off Settlement Fees if they settle with Capitol Title and purchase an Owner’s Title Insurance Policy. For more details on the services and products that Capitol Title provides please contact Sara Demb Goldstein at SDemb@capitoltitle.com. McKay Mortgage Company. The McKay Mortgage Company is offering participants in the Homeownership Program a free home appraisal, free pre-approval and free credit analysis. Please contact Brendan McKay at bmckay@mckaymtg.com.